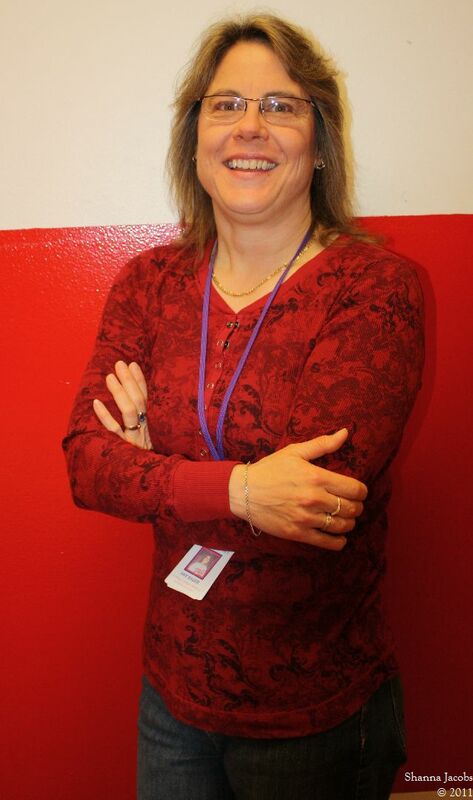 At a recent staff meeting Ms. Bauer was selected teacher of the month for Central High School. Ms. Bauer is a very proud Cobbler – who is here, there and everywhere for students whenever and where ever she needs to be. This year, Ms. Bauer is teaching Senior Composition, Mythology and Symbolism, and English 10. Her classes fill up quite quickly, as she is an extremely popular and well-respected teacher. Students are constantly asking her to make room for just one more, and she will pack her room to the gills if necessary. Students are constantly seeking Ms. Bauer as she is a confidante, mentor, and a teacher who is here for the most important purpose, our students. She is often here early in the morning and after school, giving our students the extra help they need to be successful. Ms. Bauer has stepped up to the plate in many regards this year. She has assumed the advisor position of the National Honor Society, instilling into its members the importance of giving back to the community. Within the coming weeks, Ms. Bauer will spearhead the Thanksgiving Pie Drive for the Cornerstone Rescue Mission and The Knights of Columbus, bringing in over 200 pies for the homeless in our community. She has coordinated the collection of a multitude of personal hygiene items for WAVI (Working Against Violence Inc.), hundreds of pounds of pet food for the Humane Society as well as coordinating with United Blood Services for this upcoming blood drives. Ms. Bauer is also the coordinator for our Cobbler hospitality committee. She coordinates the giving of flowers, cards, and gifts for our staff in their time of need, which is extremely appreciated by her co-workers. Editor’s note: This article was written by Ms. Bauer’s colleagues in the English department. Congratulations, Ms. Bauer!